Melissa attended Florida State University and graduated in 2009 with a Bachelor in Business and Fashion Merchandising. 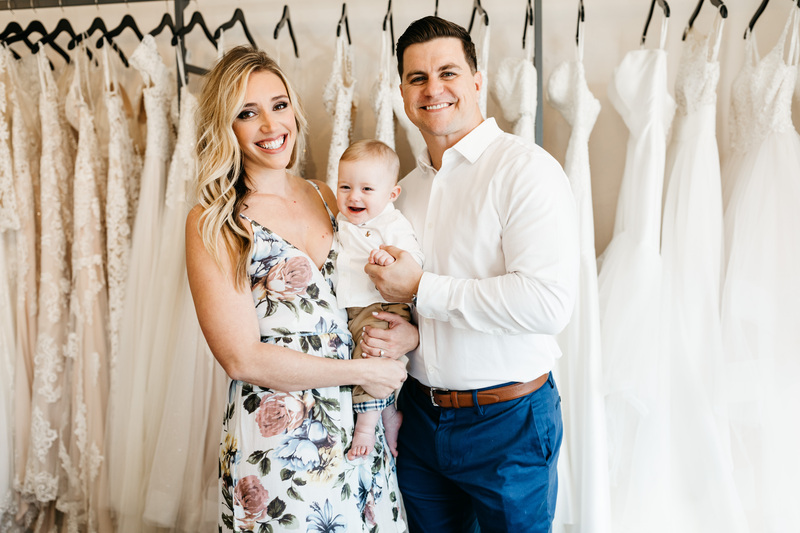 Shortly after, she received a call from longtime friend and then Store Manager, Liza Griffis, that Love was searching for a new Bridal Consultant. Melissa jumped at the opportunity to have her dream job - working within the bridal industry. After six years of running the store, Melissa along with husband, Sean, purchased Love from founder Nancy Love. 2017 saw all of Melissa's dreams come true - becoming a business owner as well as a mother. The Moneypenny's welcomed their first child just a week after purchasing the store- Sean Jr., known as SJ. Melissa can often still be found styling brides, spending time with her family, and snuggling her two dogs, Bruce and Chester. 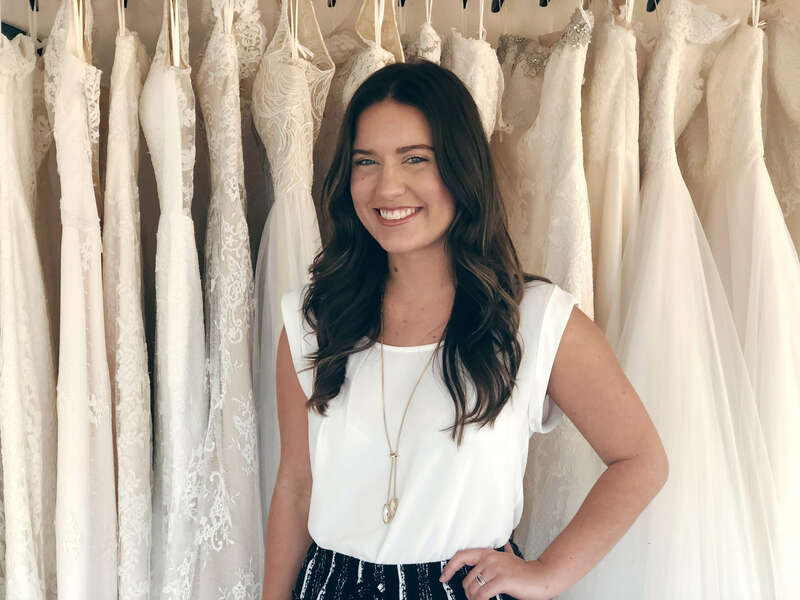 Laney joined the Love family in 2015 as a part-time Bridal Consultant, before joining as Store Manager. She attended University of North Florida, where she was a student-athlete, graduating in 2015 with a Master's in Clinical Mental Health Counseling. Laney strives to help each bride embrace their individuality, live in the moment, and feel as beautiful as they are. Laney can often be found running, taking pictures for the Love Instagram, and reading on the beach. Michelle joined the Love family in early 2018. Originally from Orlando, Michelle currently attends the University of North Florida where she is studying Public Health with the goal of becoming an Orthodontist. 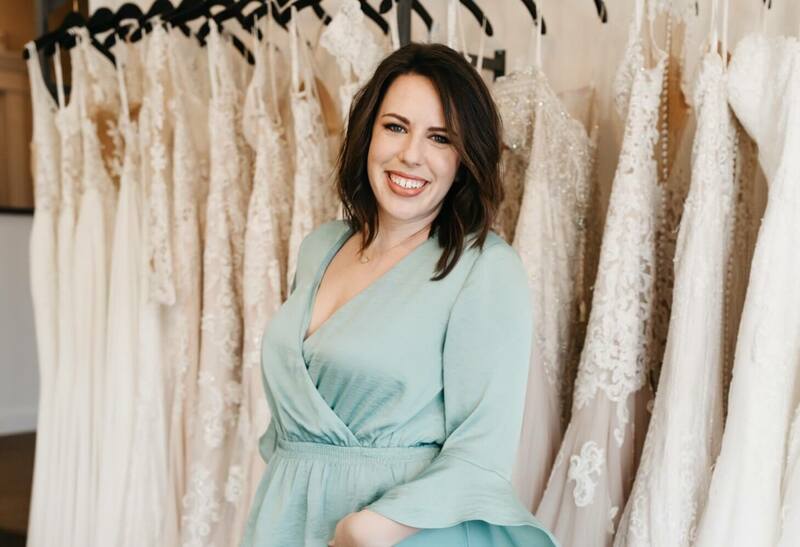 Michelle loves helping brides find their gown and seeing how happy they are when they say Yes! She can often be found studying at UNF, traveling to visit friends in Boston, and hanging out with her Kappa Delta sisters. Paige currently attends the University of North Florida, and joined the Love family in early 2018. 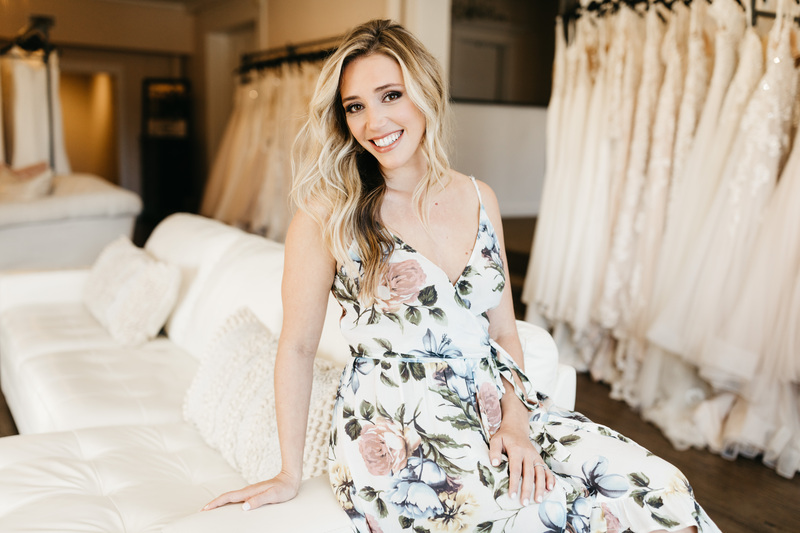 Paige combines her love of fashion and love of people to create a fun environment for all of her brides. 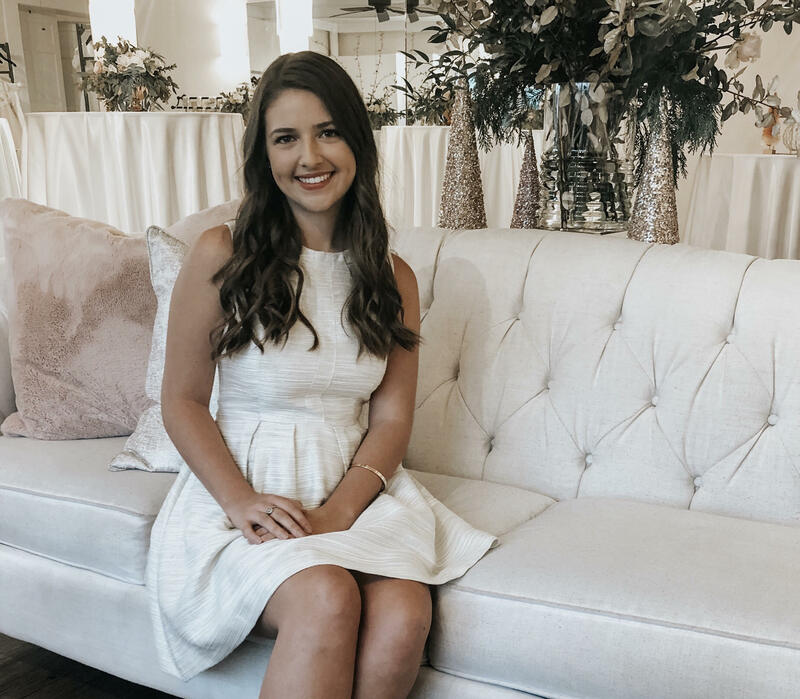 Born and raised in Ponte Vedra Beach, Paige can often be found at the beach, studying at UNF, and shopping at Town Center with her Zeta sisters. 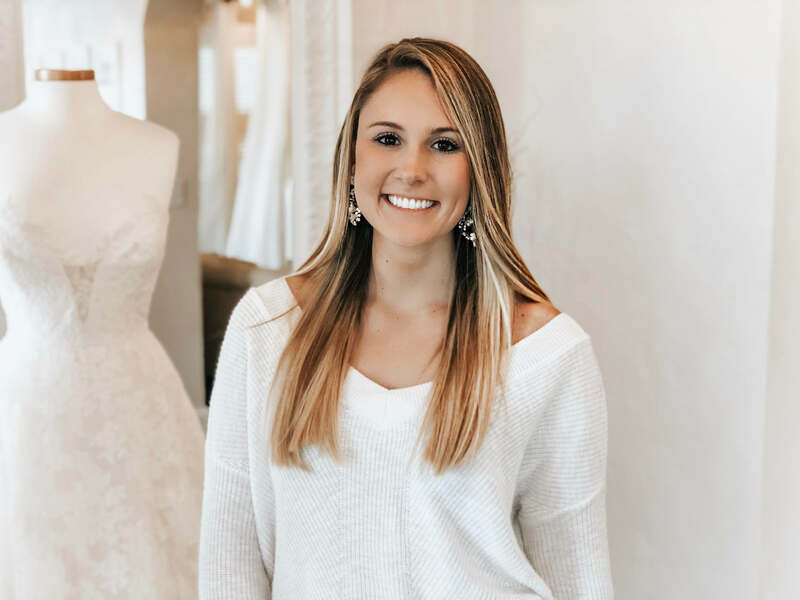 Addison joined the Love family in late 2018 after falling in love with bridal through Michelle, one of her best friends. Addison currently attends the University of North Florida and is originally from Winter Garden, Florida. Her patient disposition combined with her killer sense of style has quickly made her a favorite consultant with brides. Addison can be often be found working for UNF Student Government, actively participating in her sorority Kappa Delta, and visiting her boyfriend who attends the University of Florida. Sean met Melissa while attending FSU, where he earned his Master's in Economics. He has worked in the financial industry ever since. 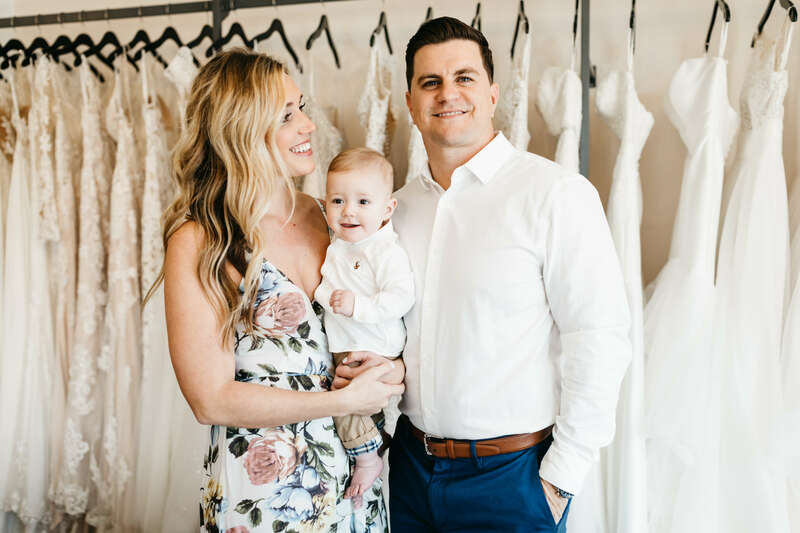 While Sean does not work in the store day-to-day with brides, he provides invaluable support surrounding the store's financials and accounting. Sean can often be found crunching numbers, watching FSU football, and mastering the art of Jui-Jitsu.